Mauricio "Shogun" Rua finally made his revenge on Forrest Griffin after winning the light heavyweight battle last Saturday. After his title lost to Jon Jones at UFC 128, Maurcio “Shogun” Rua won his bout against Forrest Griffin at the UFC 134 last August 27. This victory served as his revenge for the man who defeated him during his UFC debut. Watching the fight that took place on Saturday night in Brazil, no one would even recognize the Mauricio “Shogun” Rua who fought Forrest Griffin the first time. He seems like a bull that charged forward and was relentless with his attack on his opponent. Once Forrest Griffin fell to the ground, Mauricio “Shogun” Rua was on him like a pitbull and launched a blitzing series of hammer fist which ended the bout. 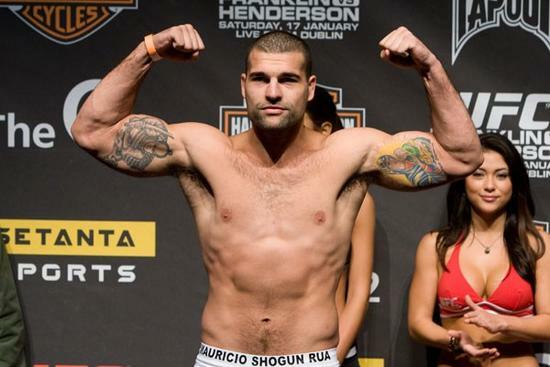 It was exactly the type of homecoming Mauricio “Shogun” Rua wanted to have, as he fought in front of his fans in Brazil. For the long time veteran of Pride and the UFC, getting a win like that at UFC 134 was everything he could have hoped for. The victory puts him back on track to hopefully earn another shot at Jon Jones or anyone who has the light heavyweight title in the future.